How do spiders make a web? You asked us, how do spiders make a web? Though all spiders can spin silk, only some of them use it to make webs. Now, when you think of a spider web, you're probably imagining something along the lines of this, right? (Points to web.) That particular kind of web is the handiwork of orb spiders. They start by sending out on the wind a line of silk called a bridge thread, with the desperate hope that it will catch on to something. Once that's locked down, they get to work on the main structure of the web, ending with a spiral. Now this is where things get a little bit sticky -- literally. The spider uses that spiral as a guide for laying down a new superglue spiral. Voila! Now, all said spider has to do is sit and wait for the next meal to come along. Amazingly, web-spinning spiders have the ability to tell the difference between the call of dinner and vibrations made by non-foodie things, like leaves. If only the rest of us could be so discerning. Did I just eat leaves? Why are spider webs sticky? Spider webs are sticky because once the spider spins a regular web with a spiral design, the spider again goes over the web again and coats it with more silk which makes it more sticky. The text states "The spider uses that spiral as a guide for laying down a new superglue spiral." An explanation for why webs are sticky is since this is most likely the only way spiders can get food, they need to make sure that their prey can get stuck in their web so they can eat it. 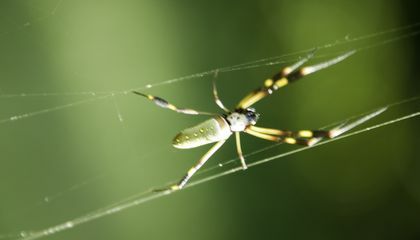 spiders webs are sticky because thes spit out a superglue spiral out of their abdomens. it says in paragraph 4,"The spider uses that spiral as a guide for laying down a new superglue spiral." I found this article interesting because I didn't know how spiders made webs. i found it interesting to, and after they make the web all they have to do is sit and wait for there pray to come so they can have dinner. Spider webs are sticky because it will help them catch their prey, and it will bind the webs together. According to the article, "The spider uses that spiral as a guide for laying down a new superglue spiral. Voila! Now, all said spider has to do is sit and wait for the next meal to come along" (paragraph 4). I picked this article interesting because I never knew how spiders made their webs before reading this. i like your response because you give a lot of text evidence to show that it is right. This,I belive, is a good question that deos need more insite as we don't always know much about spiders.It was interesting to learn about how orb spiders build there webs,but there are different ways different spiders build webs.Maybe in the future they could touch on different spiders and there webs. 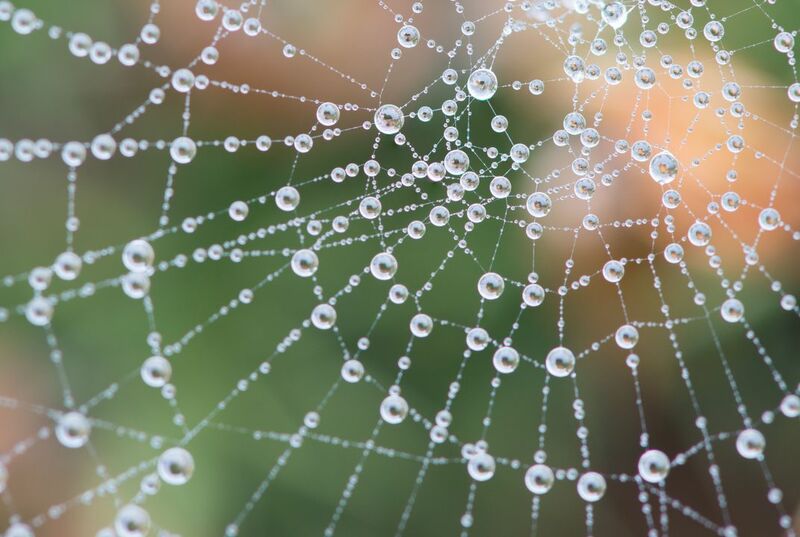 Spider webs are sticky because they have a natural glue that comes out of them. I know this because in the story it stats " The spider uses that spiral as a guide for laying down a new superglue spiral." This how I know my answer is right. I thought this was a interesting story and very informational. I think there sticky because of a really sticky chemical mixture, spider superglue :). I'm also fascinated by the way a spider makes its web and how it feels vibrations from the web when an animal or something goes into it. Spider website are so sticky because the thin layer of silk can stick to a substance so mended together, that it looks like it is all one, huge structure. The way they do it is, " the spider uses that spiral as a guide for laying down a new superglue spiral. Voila! Now, all said spider has to do is sit and wait for the next meal to come along." (paragraph 4, Ask Smithsonian). This means that the way the spider makes its webs, causes it to stick in a spiral. The spiral makes its position so that it can stick to anything it wants to. This article seems interesting because spiders and their website intrigue me. It is very unique that a small little critter can make such beautiful things (webs). Maybe one day, we can use their silk to make wonderful clothing and appliances. What shocked me the most is that, how sticky the web is. It is supposed to be "superglue" strength and can stick to any surface. We can make technology in the future that incorporates the simple, yet effective idea of shooting a sticky substance, into an area, and can bond well. The world would be a whole lot different.